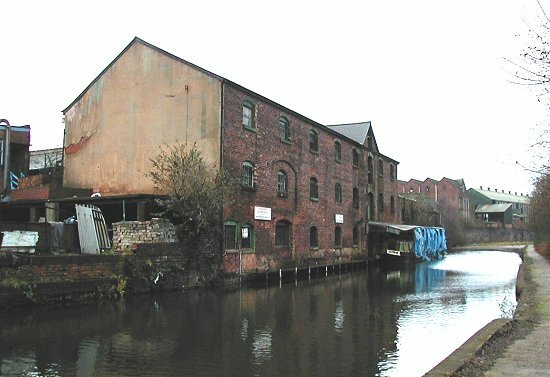 Union Wharf was at the end of Union Mill Street, between Union Mill and the Cheese and Butter Warehouse. Numbers 16a and 16b Union Mill Street were formerly wharf manager’s houses, along with a third building that was demolished after the Union Mill fire in 1989. Several businesses used the wharf, which must once have been a busy place. General carriers Crowley, Hicklin, Batty & Company were based at the wharf in 1842. The are listed in Pigot and Company's Staffordshire Directory. In White's 1851 Staffordshire Directory they are listed as Crowley, Hicklin, & Company, Union Wharf. Vessels to all parts, and agents to Chaplin and Horne, railway carriers. In the 1840s the company operated a number of fly boats to many destinations. Working to a strict timetable, they transported important and perishable goods, and were usually operated by four men who changed horses on the move. Leicester, Burton upon Trent, Liverpool, Manchester, Preston Brook, Staffordshire Potteries, Shardlow, Gainsborough, Derby, Hull, Shrewsbury, Wellington, Newport, Market Drayton, Ellesmere, Worcester, Gloucester, Bristol, Tewksbury, Stourport, Kidderminster, London, Birmingham, Leamington, Warwick, Market Harborough, Banbury, Oxford, Northampton, Coventry, Atherstone, and Nuneaton. The potteries, Newcastle, Congleton, Macclesfield, and Leek. 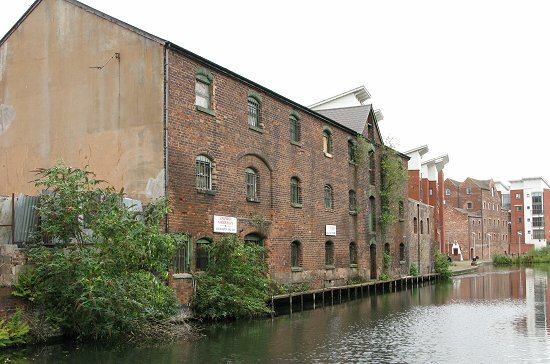 Robert Lawson junior, a coal merchant, also used the wharf, as did John Smith, cart and wagon dray builder, who occupied the Patent Wheel Works in Union Mill Street. Number 16a Union Mill Street, one of the wharf manager's houses. This picture of part of the Darlaston Steel and Iron Company's factory is from Samuel Griffiths Guide to the Iron Trade, published in 1873. One of Crowley's boats can be seen on the left. The location of the businesses included in this section. From the Illustrated Towns of England Business Review of Wolverhampton, 1897. Goddard and Company, Coal Merchants, Mill Wharf, Union Mill Street, Horsley Fields. Telephone 7245. About thirteen months ago Messrs. Goddard and Company took over the coa1 business at Mill Wharf, Union Mill Street, which for many years previous had been conducted by Messrs. H. Lawson and Son. There is no doubt that this is one of the best known businesses of its character in Wolverhampton, and at the present time it is being conducted on the most enterprising lines. Messrs. Goddard have splendid wharf accommodation on the side of the canal, and are thus enabled to keep a large stock of coals on hand, and meet all demands most promptly. They have a capital connection among manufacturers and private families; supplying the best Cannock Chase and Brownhills coals, cobbles, kibbles, etc., also, rough slack, breezes, coke, etc. For any quantity Messrs. Goddard offer the very best advantages in respect to price, and the result of their uniform prompt, courteous and honourable methods of trading is plainly apparent in a steadily increasing and desirable connection. 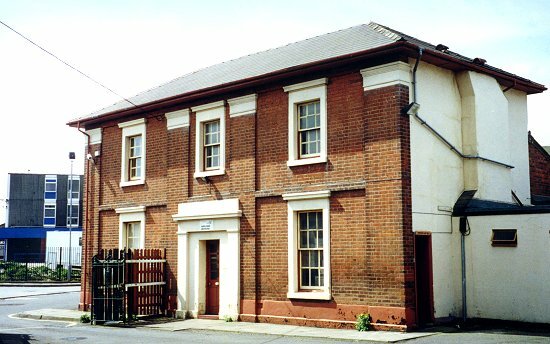 The Cheese and Butter Warehouse is an early 19th century building with three storeys and 8 bays. There are three loading doors, the bottom one of which, opens directly onto the water level of the canal. On the southern side is a small courtyard entered through a pair of decorative gates and bounded on the east by a narrow 3 storey building. In 1845 it was occupied by James & William Barrow, corn and butter merchants, cheese factors and tallow chandlers. They are also listed in White’s Staffordshire Directory of 1851. By the end of the 19th century the whole site was owned by A. E. Beresford, a merchant grocer. The main building was then used as a warehouse, with stables on the left, and a lard refinery on the right. The site also contained an office building, and workers houses. 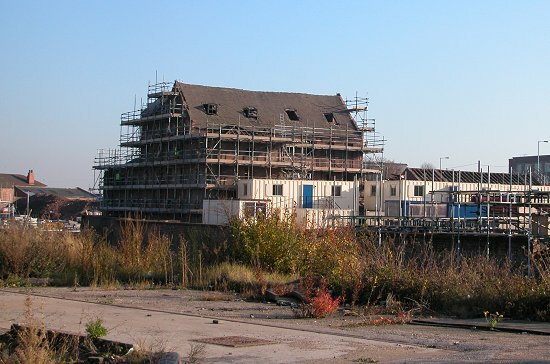 The Cheese and Butter Warehouse in 2003. 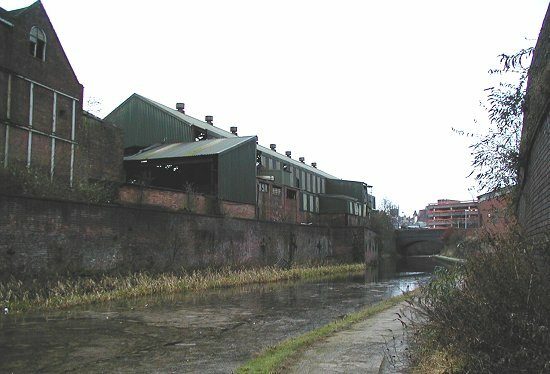 On the right is Albion Mill and Hill's Foundry. The same scene today, with modern high-rise housing in the background. The southern side of the building. 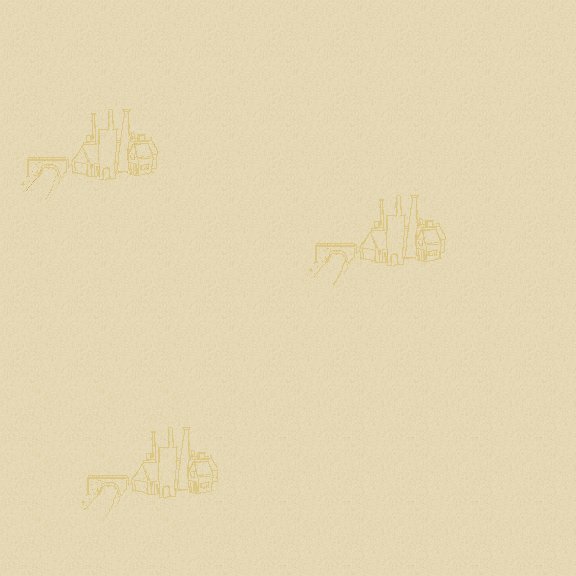 A final view of the Cheese and Butter Warehouse. The steam-powered saw mill was operated by William Beddows & Company Limited, Union Mill Street, established in 1864. The firm of timber merchants specialised in sawing, planing and mouldings. The company was still operating in 1964 when they were listed in Kelly's Wolverhampton Directory. Also on the site, in the middle of the 19th century were W. & E. Walford, timber merchants. From the 1964 Kelly's Directory of Wolverhampton. The wharf buildings from the south. As shown in the 1838 advert below. Joseph Shipton started the business in Charlotte Street, Birmingham. It was later taken over by his cousins James and Maurice. 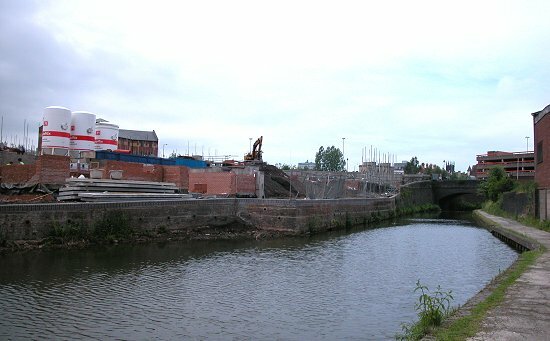 James formed a partnership with Henry Pratt, a miller, to carry goods at Albion Wharf, Wolverhampton. As a result Henry Pratt established a warehouse there in 1829. 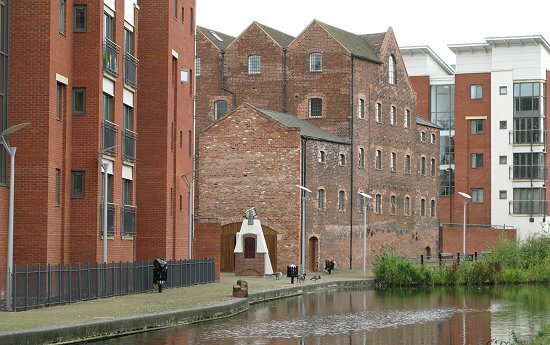 The wharf lay beside the long basin that extended from the canal, and went under the Albion flour mill. The basin was built around 1827. Pratt’s partnership with Shipton was dissolved, and Pratt became bankrupt. Maurice and James Shipton went their separate ways, James trading as a timber merchant, and as Shipton & Company, canal carriers at Albion Wharf. 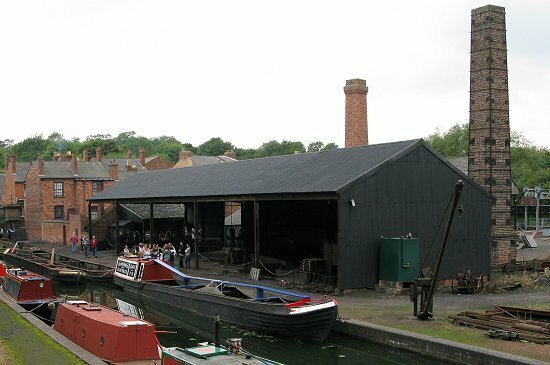 In 1833 the Shipton Warehouse was built at Gloucester Docks. It still survives and carries the name of a later occupant, the Severn & Canal Carrying Company. Liverpool, Manchester, Preston Brook, Chester, Wrexham, North Wales, Shardlow, Gainsborough, Derby, Hull, the Staffordshire iron works, Bilston, Dudley, Worcester, Gloucester, Bristol, Tewksbury, London, and Birmingham., Stourport, and Kidderminster. In 1847 Shipton's carrying business was taken over by the North Staffordshire Railway. The venture was not a success, and so the railway company sold it to the Bridgewater Trustees in 1849, with James Shipton as their agent. James became mayor of Wolverhampton in November 1854, and when his term of office ended a year later, he went into semi-retirement and soon left the town. He declined to stand for another year as mayor because his year in office had been difficult, due to arguments about the council's failed attempt to purchase Wolverhampton Waterworks. The council had been severely criticised by many people, and a number of meetings had ended in disarray. When his term in office was over, he decided to leave in good spirit by inviting the members of the council to a party at his house in Dunstall Hill. James Shipton The company is listed in the 1842 Pigot & Company's Staffordshire Directory as Shipton & Company, and can be found in the 'Carriers' section. 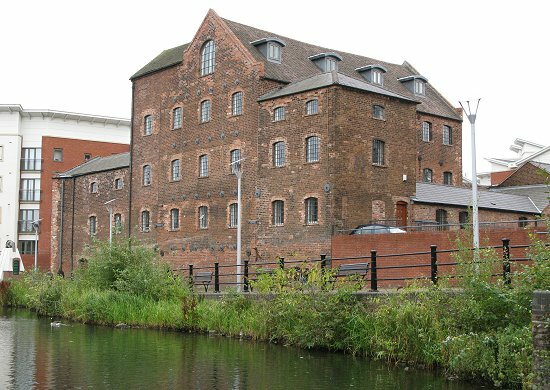 It is also listed in White's 1851 Staffordshire Directory as James Shipton, Albion Wharf, and also as Shipton & Company, Albion Wharf. General carriers to all parts, agents to the Trustees of the late Duke of Bridgewater, daily carriers to Birmingham, Liverpool, Gloucester, Bristol etc. The 1838 advert lists fly boats to and from London, Liverpool, Manchester, and Birmingham. Shipton also ran packet boats to and from Birmingham, starting and ending in Wolverhampton at Broad Street Bridge. Albion Wharf was also used by the largest, and most well known canal transportation company, Fellows, Morton & Clayton Limited. The company was founded in West Bromwich by James Fellows, who decided to form his own company, after working as a canal carrier’s agent. The company started operating in 1837 after James acquired his first boat called ‘Providence’. The business rapidly grew, and moved to Tipton in 1841. Sadly James died in 1854, and his wife Eliza took over the running of the business, until her son Joshua was old enough to run the business himself. By the 1860s the fleet had grown to around 50 boats, after a boat building yard was built at Toll End. 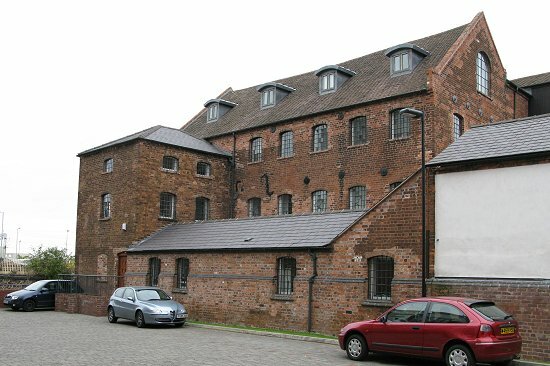 In July 1850 the firm secured an agency at Wolverhampton from the Bridgewater Trustees. Frederick Morton, an additional agent, was appointed there in 1869. On the 1st July 1876, Joshua Fellows and Frederick Morton came together to form Fellows, Morton & Company to take over Bridgewater's trade. On June 1st, 1889 Claytons merged with Fellows, Morton & Company to form Fellows, Morton & Clayton Limited. William Clayton and his son Thomas were general canal carriers who specialised in transporting liquid waste from gas works to distillation and chemical works, mainly crude tar, and also ammonia-rich water, used in fertilisers. Fellows, Morton & Clayton's 'Peacock' at the Black Country Living Museum. The company's name on the side of 'Peacock' at the Black Country Living Museum. The new business flourished, with a large fleet of boats. Their first steam boat ‘Pheonix’ was built in 1884. It was more powerful and much faster than a horse-drawn boat. In 1911 the company built its first boat powered by a Bolinder engine. This was a great success and more quickly followed. The company had hundreds of boats including a large number of butties. Fellows, Morton & Clayton also operated from Broad Street Warehouse, Wolverhampton. On January 1st, 1947 carrying rates were increased, which resulted in the company making its first ever trading loss. Things went from bad to worse, and so the company went into voluntary liquidation in November, 1948. The company's assets were acquired by the Docks and Inland Waterways Executive, the new governing body, formed in 1948 under the terms of the 1947 Transport Act which nationalised the canals. The Docks and Inland Waterways Executive, later became known as British Waterways. The 'President' at the Black Country Living Museum. President was built in 1909 at a cost of £600 in Fellows, Morton and Clayton's dock at Saltley, Birmingham. 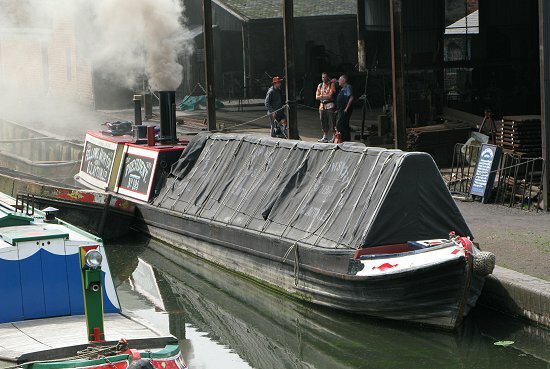 After a major restoration, the boat was bought by the Black Country Living Museum in 1983. From Melville & Company's 1851 Wolverhampton Directory. 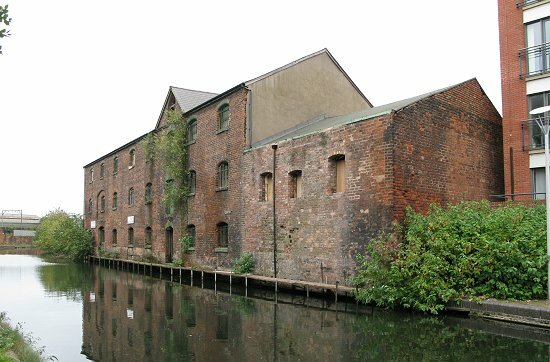 The Albion Mill was built around 1830 alongside Albion Wharf and its basin. It is a good example of an early corn mill, that is integrated into the canal system. In 1845 it was operated by James Bradshaw & Sons, millers, corn factors, bakers, grocers, provision dealers, seedsmen, and tallow chandlers. 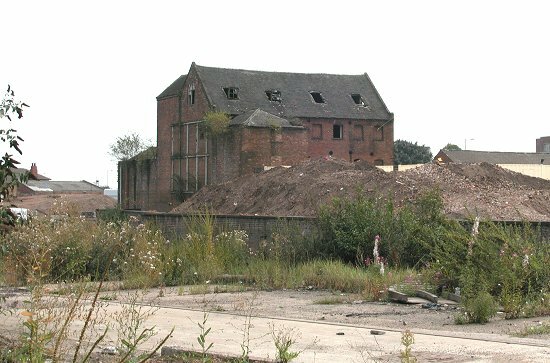 Albion Mill in 2004, surrounded by rubble from the recently demolished Hill's foundry. Albion Mill as it today. Another view of the mill. 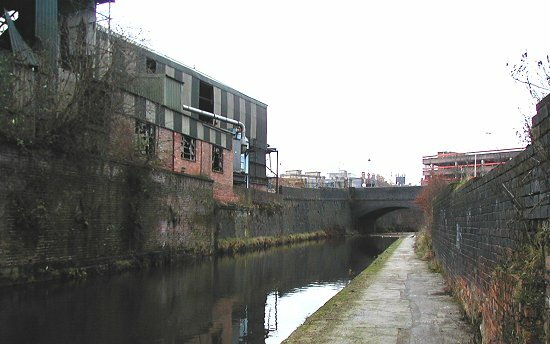 A view of the western side of Albion Mill. For many years the wharf was used by the Albion Coal Company, that was owned by John Hill & Sons. John Hill & Sons (Ironfounders) Limited were based at Albion Works. The company was founded in 1830 and survived until almost the end of the 20th century. In the latter years of the 19th century the company was run by two partners, Alfred and John Hill. In November 1900 their partnership was dissolved. 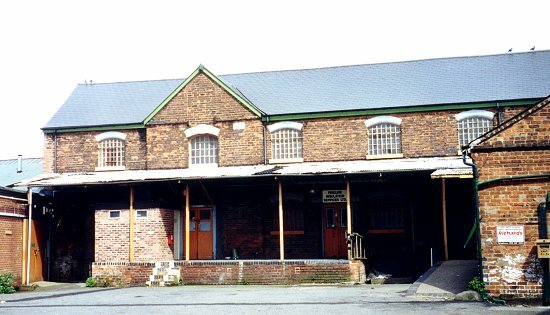 Albion Works was also occupied by the Associated Steels & Tools Company Limited. It is listed in Kelly's 1962 Wolverhampton Directory. John Hill & Sons was taken over by Staveley Industries, of Staveley, Hollingwood, near Chesterfield. 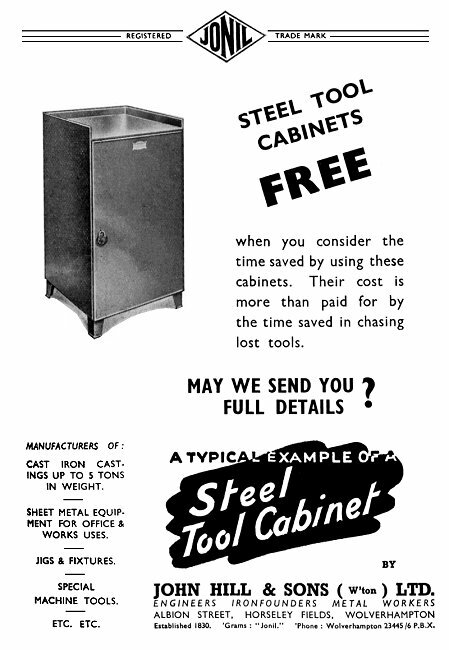 As can be seen in the advert below. Another view of Hill's foundry, looking towards Corn Hill. 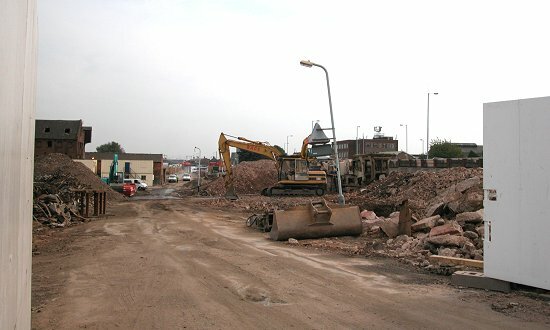 The same view after demolition.